So you want to serve others and help humanity to awaken and heal and have better choices before them? But how will it impact others if you’re still not 100% clear and anchored in your own God self? Can you still serve and, if so, will you have any of the desired positive impact that God requires of us? ‘You were born to serve others and serve them ye shall. Whether ye are currently experiencing your own self-imposed woundedness or not, there comes a time where all will rise together as One, that all may feel the impact. There will be no ‘ifs’ or ‘buts’ about it, but rather a rising which feels somewhat automatic. Though there will be nothing automatic or mechanised about it, it will feel as though a switch in you has been turned on and you will feel compelled to do and be what you came to the planet to do and be. 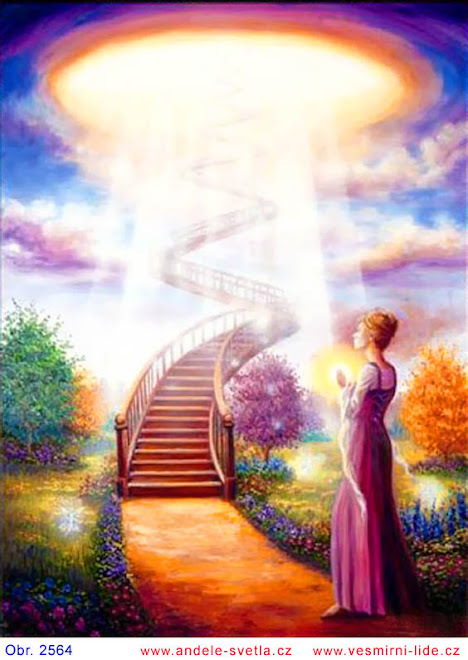 Hard as it might be for some of you to envision this, based on where and how you currently perceive yourselves or don’t in terms of your consciousness, your true Selves know all and will guide you accordingly. Even as you struggle in your day-to-day existence twixt your True [God/Higher] Selves and your little selves - with all manner of scenarios and seemingly endless inner looping in your mental and emotional landscape. There is much work yet to do, though some may have convinced themselves it is all over (for them) even before it’s all begun. Not the case, of course. me, either, over the many years of my own inner journeying and seeking. Seekers seek. It’s what we do. But a time must come when we stop the seeking and step into the finding; the Beingness of our GodSelves, the Truth of who we already are. We have spent all these years seeking and preparing just so we could re-member ourselves again…and reunite. If I use the word seeker in conversation now, even as I did way back when all this began for me, I still find that whether they’re of traditional religious stock or New Age, folk are largely still attempting to ‘sell’ me their spiritual wares. They still seem determined to convince me their guide, guru, teachings or latest techniques discovered ARE the answer/s to what I seek. It doesn't bother me anymore as I have a comfortable way of dealing with it now. It seems everyone seeking has the keys to enlightenment, or so they would like us to believe. Without any hypocrisy, I used to do the exact same thing! But that was many years ago. And what does 'greatness' or 'enlightenment' mean to me now? Nothing more or less than one who walks with their inner God 24/7. More importantly, can I and we acknowledge that WE are ALL great and wondrous beings in terms of our origins to even have made it here on planet, in the first instance? We must be to have been selected to come here, even though the agreement was to remain in a state of amnesia (for most of us). But that act or state of enlightenment/Oneness needs us to accelerate it - through our ever changing perception. Starting with how we perceive ourSelves. The more we see ourSelves as gods and goddesses, the more we identify with our God Self and the more we see ourSelves, others and things for what they truly are. So I may have a perception or judgement (never to be confused with what I previously wrote about doing the essential assessing for discernment purposes) about what I think the act of becoming One with God or becoming enlightened is all about. Because it's not been within my realm of experience in this body or life, my perceptions of it remains a mixture of speculation and some memory of the 3/4 experiences I've been blessed with the past few years. In these 24/7 joy-infused permanent states, one of which lasted nearly two months, I thought I came very close to knowing Oneness. But a couple of decades ago and in my New Age Neurotic days :-), it was a much hazier, distant concept. And all in my head, really. The thing is, even then in my flitting from one new teaching/group/product/therapy flower to another, I could quickly tell who wasn't enlightened. If I had some emotional investment or an attachment there, then it still never usually took longer than a month or two to reveal to me. Basically, my HS must have been working very hard. There were subsequently a few dangerous situations and narrow escapes from numerous of the self-proclaimed enlightened. The New Age and I had a permanent parting of the ways, though, in my early 30's. Eventually I was kicked out of yet another group for challenging the facilitator. 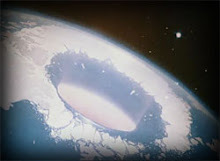 Nobody wanted to hear about our multidimensional nature, our galactic brethren then or the inhabitants of Agartha, the Inner Earth communities. They wanted to sit and stew in blaming past lives for their current one and sacrifice Truth for being ‘positive’ exclusively. And they definitely didn't want to talk about God. I've understood more about what Oneness/enlightenment is by knowing what it's not. That's the story of how my life's unfolded - learning more about who I am through experience by discovering what I'm not. This process of elimination started young. I knew what I didn’t want to do after school and knew I didn’t want relationships/family in the ‘regular’ way. I realise now those choices and others like it were merely to open me to other more important choices on my path that my HS was impulsing me to. While my inner knowing has grown over the years, it seems like my actual growth may have stood still recently, though God would probably beg to differ. Except I don’t think he begs, as such, at all. I’d say the last few years for me have felt more like the movie, Groundhog Day, than anything else. So if this grand ad-venture has been a failure and I’m going to know Oneness only through shrugging off this fleshly outfit, then I can be at peace with that. On the other hand, if by some miracle of mercy and wonder I am to know this state permanently while still in this form, then I re-joy-ce! We intend. We consciously desire to reach Him within us. Our intentions and goodwill and efforting apparently do count for something. The thing is, do any of us really know for certain what we are choosing at the deeper levels of our being? And how aware are we of the predatory mind's hidden unconscious be-lie-fs that conflict with and hinder the moves we make to let go, heal, grow and expand daily? And therein lies the rub…or does it? Either way, this Oneness is God's great gift to us all; something very beautiful and special that we can all look forward to experiencing. Whether we're conscious seekers of Enlightenment/Oneness or not. Music comes in the form of Tashi’s theme, from the movie Samsara.